We feature all the best scratch card games from trusted online casinos and gaming portals. We'll give you a flavour of each game and tell you where you can play it. We also list the latest promotions and bonus cash deals. For years the only place you could buy scratch cards was at your local newsagents or petrol station. These days, with the magic of the internet, you can play 100's of innovative cards anytime, anywhere. Sites like Jackpot Joy specialise in offering big prizes for modest stakes. Whilst other portals like Ladbrokes attract new players with a generous welcome bonus and a large selection of themed scratch cards like Rocky and Golden Balls. If you'd like to find out about the newest games then start reading our quick reviews here. If you're more interested in the cash bonuses available to new players like you then start here. Don't forget we have a totally free card for you to play here. How Long Have Scratch Cards Been Around? Actually, Scratch Cards haven’t been with us that long! The first mass-produced Scratch-off game was launched by US company ‘Scientific Games’ in 1973. The card was called ‘The Instant Game’ it contained five panels which customers could remove with a coin. The card offered a jackpot prize worth $10,000 and claimed: “1 out of 5 tickets wins”. Visually the card is strikingly like the cards you can buy today. During the 1980s and '90s ‘Scientific Games’ applied for many patents relating to their Scratch Cards, Instant Winner and Lottery style games. 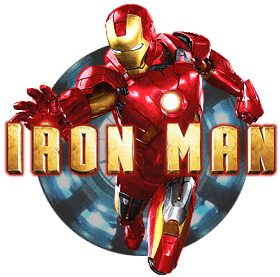 The company is still active in the creation and marketing of instant win games across the world, but particularly in the US. In the United Kingdom ‘Scratch Cards’ gained in popularity around the mid-1980s. At first, these cards were regional and offered modest jackpots. The creation of a state franchise ‘National Lottery’ in 1994 propelled scratch cards to another level. For the first time cards could be purchased Nationwide and the jackpots on offer were larger than anything seen before. Today, it’s not uncommon to see 100's of different cards for sale in UK supermarkets, newsagents and petrol stations. Scatchcards are the UK’s second most popular form of gambling, with 12% of Brits buying at least one card every month. How Do They Make Scratch Cards? The production of scratch-off cards is quite a feat of engineering. The first process is the printing of the game card. This is often based on a popular movie or TV show. For instance ‘Deal Or No Deal’ is a favourite amongst UK players. Card printing is relatively simple. The complicated process is applying the anti-fraud measures. Inkjets overprint serial numbers on the full-colour card. Game operators use these to identify genuine winners. Serial numbers are generated using algorithms. This prevents anyone from linking batches of numbers from winning cards. Another important security feature is the ‘confusion pattern’. This is printed in layers on top of the game symbols. These patterns stop people holding a card over a strong light to reveal winning symbols. Cards often have many ‘confusion panels’ stacked in layers. The final step is the application of the silver/grey panel which a customer must remove to reveal the prize. This is the biggest challenge as the panel needs to be strong enough to adhere to the card and withstand transportation. However, it needs to be easily rubbed off by the customer. The silver coating used is a type of acrylic resin mixed with aluminium paste and solvents. 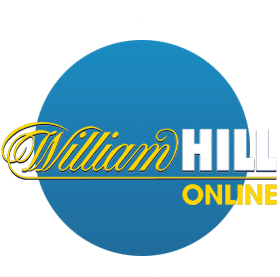 The first online casino launched in 1996 and at the time it featured just 18 games. 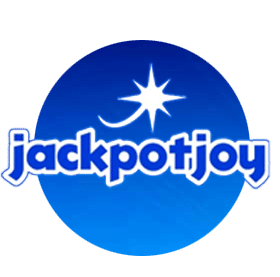 In 2002 Jackpot Joy launched in the UK. The online gaming portal boasted 8 instant win scratch off style games. Within 3 years the portal had attracted over 100,000 members. Players enjoyed online scratch card games like ‘Smugglers Loot’ and ‘Treasure Hunt’. These early games were basic, but as the technology advanced they became more interactive. 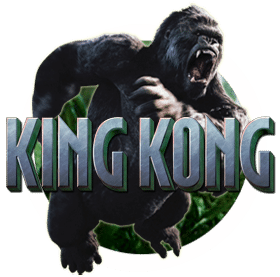 Today, the games served up by online casinos contain movie style animation, sound effects and giant cash prizes. Many online cards will be tied-in with big movie releases or well-known TV shows. Jackpot Joy features the official ‘Deal Or No Deal’ scratch card along with ‘The Crystal Maze’. Jackpot prizes can range from a few pounds all the way up to £1 million + with certain providers. 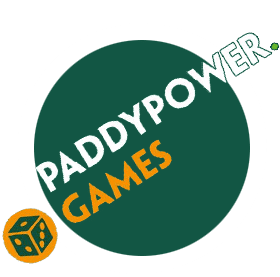 On this website, we are continually reviewing the places you can buy scratch cards online and featuring the latest promotions from trusted gaming portals. It goes without saying that the National Lottery is the largest seller of scratch cards in the UK. The average Brit spends over £400 a year on lotteries and scratch cards! The vast majority is spent with the government licensed provider. A part of the money spent on games goes to good causes. Since 1994 £39 billion has been raised for Charities across the UK from sales. In total over 500,000 projects have received funding via the Lottery. In recent years the company has ramped up their scratchcard offering as the popularity of the traditional lottery waned. Customers can currently pick from around 40+ different theme cards with a range of costs and prizes. At the top end of the scale are cards costing £10 with a £4 million jackpot. At the other end of the scale are cards costing just £1 with smaller jackpots of between £10,000 – £100,000. One of the advantages online card providers maintain over their real-world counterpart is the transparency. The National Lottery recently came in for criticism when it was revealed they continued to sell the “Millionaire 7s” card despite all the top prizes having been won. To be fair, National Lottery does publish the remaining jackpot prizes for each scratch card on their website. But how realistic is it to think that people will check before buying a card? Online providers can instantly update jackpots and inform customers when big prizes change. If you’ve ever wondered how many jackpot prizes are available on National Lottery cards then you can check here. Two of the more popular National Lottery scratch cards are £4 Million Red and £4 Million Blue. They cost a whopping £10 each and are often purchased as a substitute gift for friends and family. There is a 1 in 3:9 chance of winning a prize on each card (not the jackpot!). However, with 3 top prizes of £4 million up for grabs, the cards continue to be popular with punters. An initial print run of over 12 million cards means the chances of scooping the big one are small. Although, you have a 1 in 7 chance of winning £10 and 1 in 629 chance of winning £100. They say that everything in America is bigger and better. When it comes to lotto jackpots that statement is true. The U.S. is home to the biggest cash prizes available anywhere in the world. Lotteries have a long history in the United States. The first “The Great Virginia Lottery” was introduced to raise funds for the struggling James Town colony back in 1612. Before the introduction of government-backed lotteries, many illegal lotteries prospered. Nevertheless, these games were mired in scandal and controversy. The first modern government-run US lottery was established in Puerto Rico in 1934. Later, the New Hampshire lottery was introduced in 1964. In 1985 the first multi-state lottery game was formed between Maine, New Hampshire and Vermont. These multi-state games were designed to provide bigger jackpots for the participants. The Mega Millions is another popular joint Lotto venture between six State providers. The game started in 2002 and offers a MINIMUM jackpot of $40 million. However, the jackpot is regularly in excess of $200 million. A lucky player recently scooped the biggest ever win, the $1.5 billion jackpot was won by one ‘Mega Millions’ ticket holder in South Carolina. Although Lotto jackpots in America dwarf those in the UK, the scratch card prizes are very similar. The top prize in the Arizona Lottery scratch off game ‘Royal Millions’ is $3.5 million. Slightly less than the UK’s ‘Million Blue’ £4 million top prize. Although ‘Royal Millions’ cost $30 per card and the UK’s ‘Million Blue’ only costs £10. All in all, it seems that UK players get a better deal from scratchcards than their American cousins. So you want to know the chances of winning a scratch card or lottery jackpot? Well, that’s like asking how long is a piece of string! It all depends on many factors. Which game are you playing, how many cards or tickets are you planning to buy? And what are the odds of finding a winning ticket or picking the winning numbers? For the sake of ease, we can look at the odds of winning the UK lottery. At one time, the odds of winning the UK lottery stood at 14 million to 1. However, in 2015 the range of numbers punters could choose from increased from 49 to 59. Those ten extra numbers lengthened to odds from 14 to 45 million to 1. So the chances of winning are pretty slim. Like the advert says ‘It could be you’ but statically it’s unlike to be you! Scratch cards, on the other hand, are slightly different. Let’s look at the odds of winning on the National Lottery £250 MILLION CASH SPECTACULAR scratch card. The card cost £10 and offers £250 million in total prizes (not a single jackpot). It has eight top prizes of £3 million. When taking into account the number of cards printed, the odds work out as 4,491,675 to 1. Better than the Lottery, but it’s worth noting the cost is higher than a standard Lottery ticket (£2). However, if you spent £10 on 5 lottery tickets your odds only decrease to 9 million to 1. So the scratch card does seem better value. Nevertheless, the odds on scooping the jackpot are still very much against you. The odds of winning a much smaller amount on a £250 MILLION CASH SPECTACULAR card are very good. You have a 1 in 3.04 chance of winning at least £10. Credit to the National Lottery, as they provide odds for all their scratch cards online at national-lottery.co.uk. It’s well worth checking out as odds do vary from card to card. What about your chances of winning with online scratch cards? Again, this depends on which online service you play with and the type of game card you play. Let’s take a deeper look at the UK’s most popular online scratchcard site… Jackpot Joy. It was launched in 2002 and is one of the oldest online providers of instant win, slot and bingo games around. Their popular selection of scratch cards include… Pillars Of Fortune, Gold Fever, Crystal Maze, Deal Or No Deal and Midnight Feast. If you decide to play Deal Or No Deal ‘Scratch & Match’ you can choose how much to wager. Pick between £1, £2 and £5 cards, as the stake increases, so does the jackpot on offer. The maximum £5 card comes with a £10,000 prize. Jackpot Joy report the game pay-out as 93.32% of the money staked. Another great scratch card at JPJ is the innovative ‘Pillars Of Fortune’ which is a fully animated and interactive scratch off game. The jackpot on offer depends on the amount risked. A £2 stake will open up the £20,000 jackpot, play for £10 and you could win £100,000! The ‘return to player’ percentage of this game is 96.24%. The RTP or return to player percentage does not represent how much an individual could win playing the game. As one player could win the jackpot whilst the rest of the players win nothing. In the UK you can legally purchase scratch cards and lottery tickets at the age of 16. However, that is still pretty young and you may want to wait until you’re at least 18 before playing games that involve risk. On the internet, you need to be at least 18 years old before playing online at sites like Jackpot Joy or Paddy Power. Please bear in mind that gambling online can result in rapid financial losses. Games, like the best horse races, are fast paced and you can lose track of how much you’ve spent. This is especially true for younger adults.